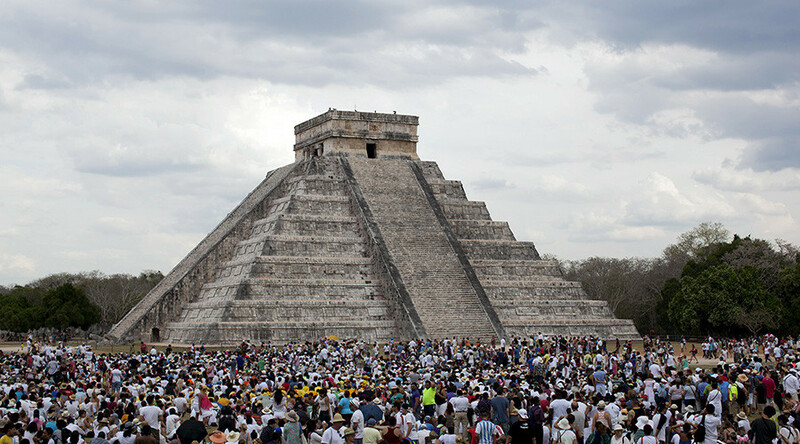 Built more than 1,000 years ago, the ancient Mayan pyramid in Mexico’s Yucatan Peninsula will be explored using a modified ground-penetrating radar (GPR) to locate passageways and rooms in El Castillo, also known as the Temple of Kukulcan. The radar will also be used to search the surrounding area of Chichén Itzá for tunnels and caves, using kayak-mounted sonar to explore underground water systems, spoken of in Maya oral history but never confirmed. The project is currently underway, with the first two weeks already producing the discovery of two submerged caves and several dry caves, one of which contains a stone carving of a female figure.